Preventing pests from entering your Miami home (home pest control) is probably the single most important step in ridding unwanted pests the natural way. That’s why our technicians focus on the outside of the home first. 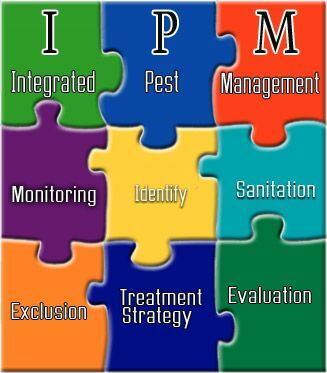 Our IPM approach is an effective and environmentally sensitive approach to natural pest control / home pest control, that relies on a combination of natural, common-sense practices and is based on our knowledge and understanding of insect biology’s, environments, habits and natural habitats. The use of these practices and natural insecticides, baits, and techniques assist us in controlling pests the natural way! 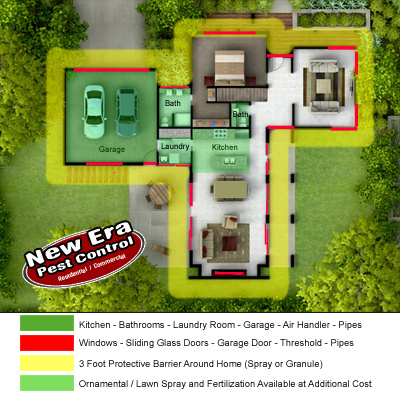 Improving sanitary conditions, monitoring and correcting landscaping and structural conditions, assists us in keeping those pesty critters from entering your home, Naturally!